On Thursday last week I was fortunate enough to spot a particularly rare bird, the Australsian Bittern or matuku (Botaurus poiciloptilus). Along with the matuku I also had a brief sighing of a Fernbird, the topic of a previous post. The matuku is a large wetland bird (it was much larger than I expected it to be) native to Australia and New Zealand. It is, like so much of New Zealand's wetland biota, in decline because of clearing and draining of wetlands for farming. According to the IUCN Red List the matutku numbers fewer than 1,000 individuals in Australia, and an estimated 580-725 individuals in New Zealand according to a report from 1980. That means that there are less than 2,000 individuals left placing it on the IUCN 'Endangered' list. 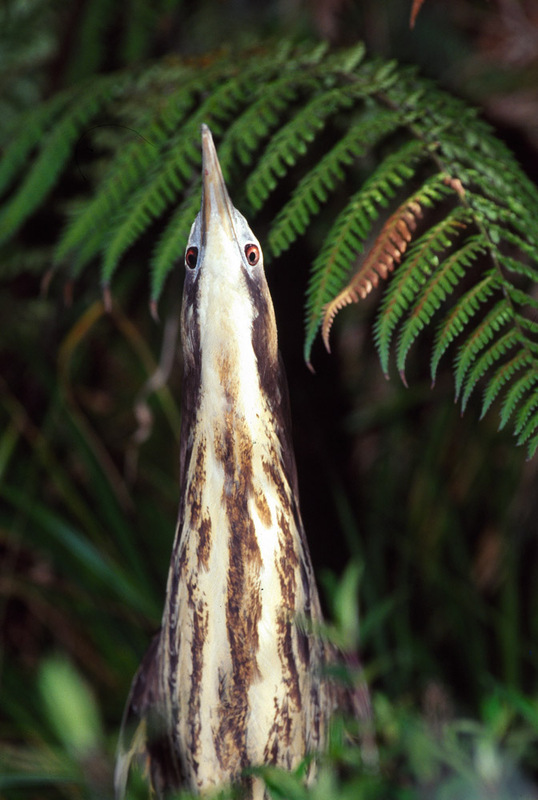 Interestingly, however, the 1980 New Zealand estimate is possibly an underestimate because much of the habitat suitable for the matuku is on private land. That means that population counts have excluded these areas which may harbour many small populations. This possibility provides some hope but unfortunately the discontinuous, fragmented nature of wetland habitats in New Zealand is problematic. The issue of habitat fragmentation has long been known be a significant threat to biodiversity. In a effort to remedy fragmentation, many people advocate the use of wildlife corridors or green belts. Interestingly, despite the pragmatic assumption that corridors are 'good' there is apparently little evidence that large corridors (over one mile) are, and if they are, what is 'good' about them. A couple of conservation biologists are hoping to answer this using a global dataset of large, long-term corridors. If you know of any potential useful sites (see the link for criteria) you could win cash for suggesting it as a study site.